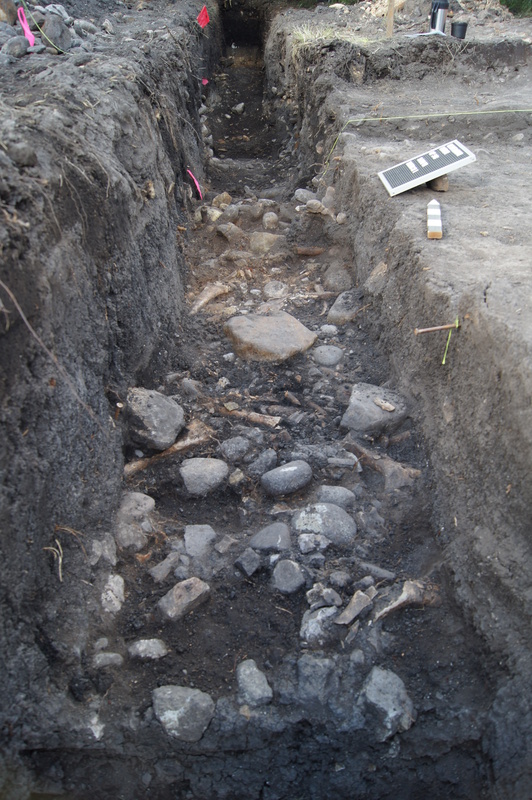 Dense bison bone, ground stone, flaked stone, and fire-cracked rock located near the bottom of a thick sequence of cienega soils. Desperation Ranch Excavation. OCT 19, 11 a.m – 1p.m. Please RSVP by Saturday, October 11th to Jesse Ballenger. AAHS members and guests are invited to attend a site tour and BBQ at Desperation Ranch located in Portal, Arizona. Food and beverages will be provided. Come one, come all! Orientation and Site Tour will be given at 11:00 pm. At noon we will depart for the Portal Store for a barbecue and social. Highly visible signs will be placed at Desperation Ranch along Portal Rd. It is about a mile beyond the Portal Store. Directions: Follow I-10 E to NM-80 S in Hidalgo County. Take exit 5 from I-10 E, Continue on NM-80 S. Turn right onto NM-533 E (aka Portal Rd). Travel west to 999 Portal Rd. Desperation Ranch is about 172 miles from Tucson or just under 3 hours. AAHS appreciates the generous support of Jaye Smith, Kim Murphy, Tony and Rene Donaldson, The Friends of Cave Creek and the Portal Store.